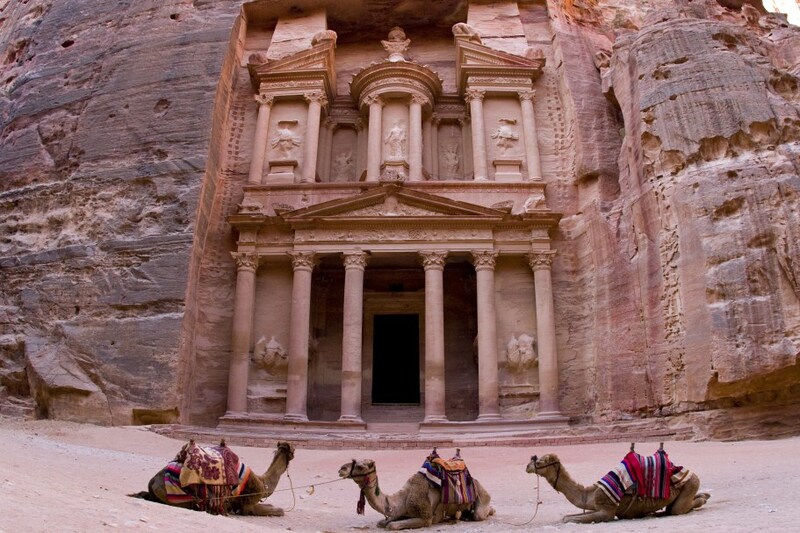 Due to the closeness of Jordan to the Eilat border, we offer breathtaking tours to the “Petra” region in Jordan. 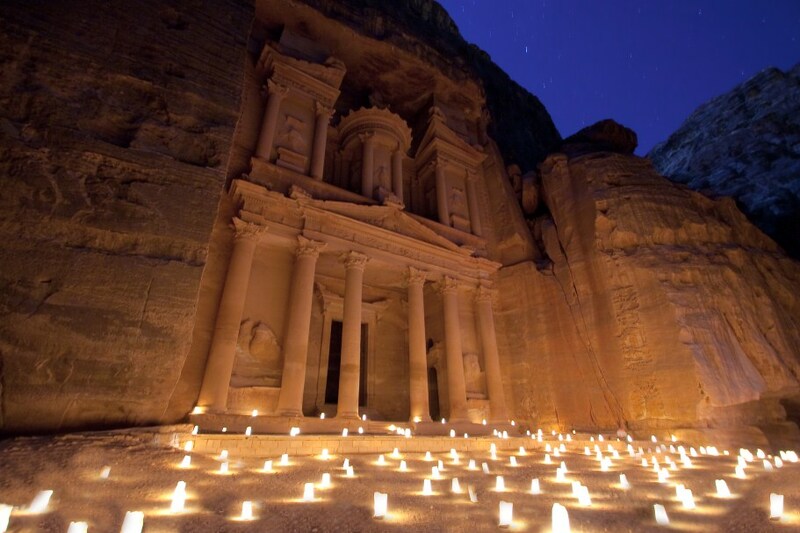 Petra, the world wonder, is without a doubt Jordan’s most valuable treasure and greatest tourist attraction. 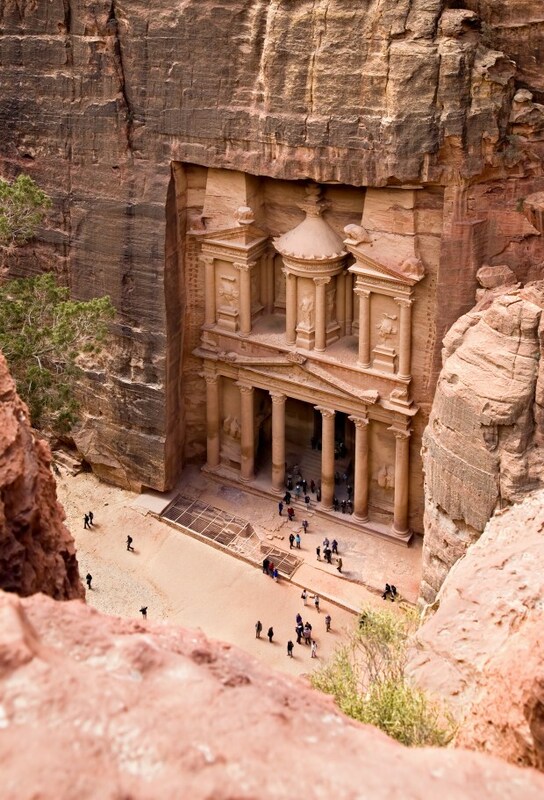 Petra is a unique city, carved into the sheer rock face by the Nabateans, who settled here more than 2000 years ago. 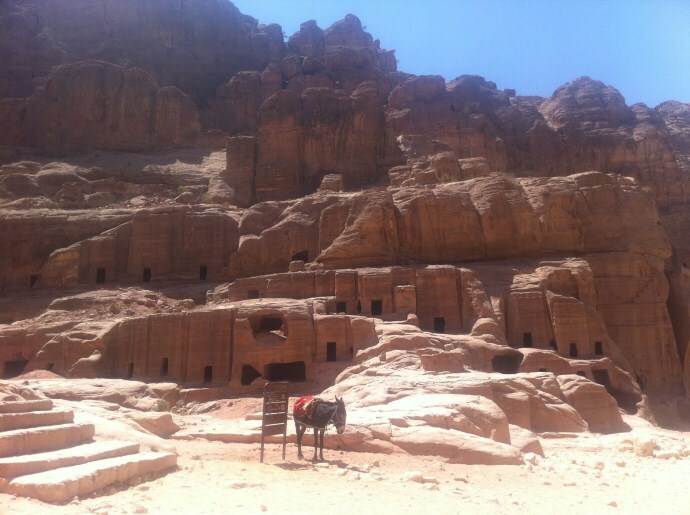 Explore Petra with the most professional tour guides. 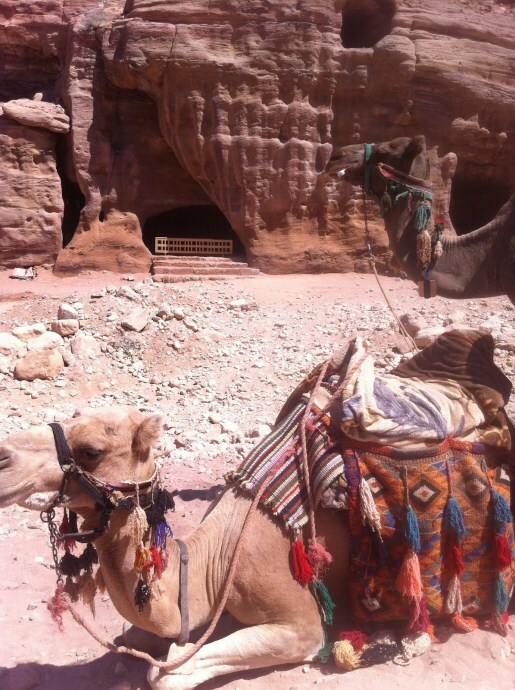 Enjoy from an open buffet lunch at Hotel in Petra. 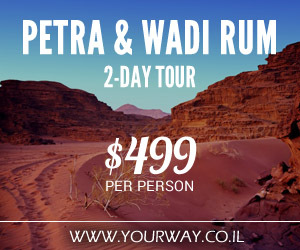 Travel with "Yourway" and let us make your tour in Israel the most memorable and unforgettable. 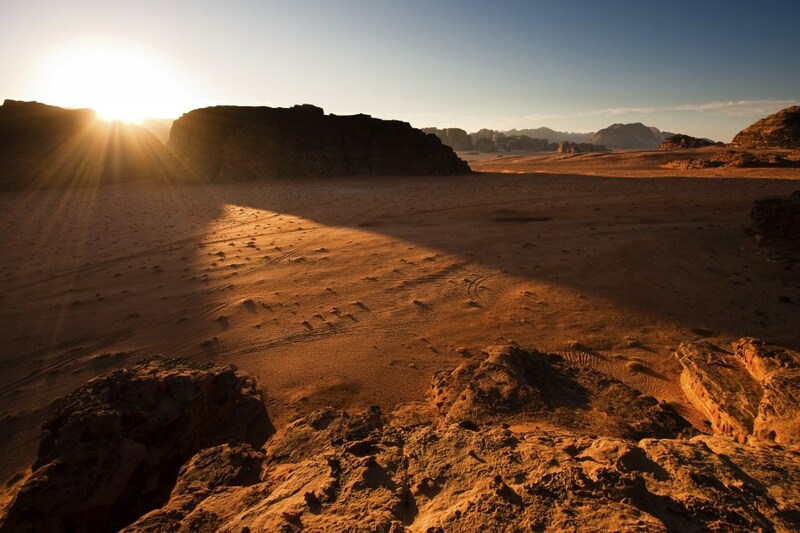 The tour starts with a pick-up from your hotel in Eilat at 7:00 AM. 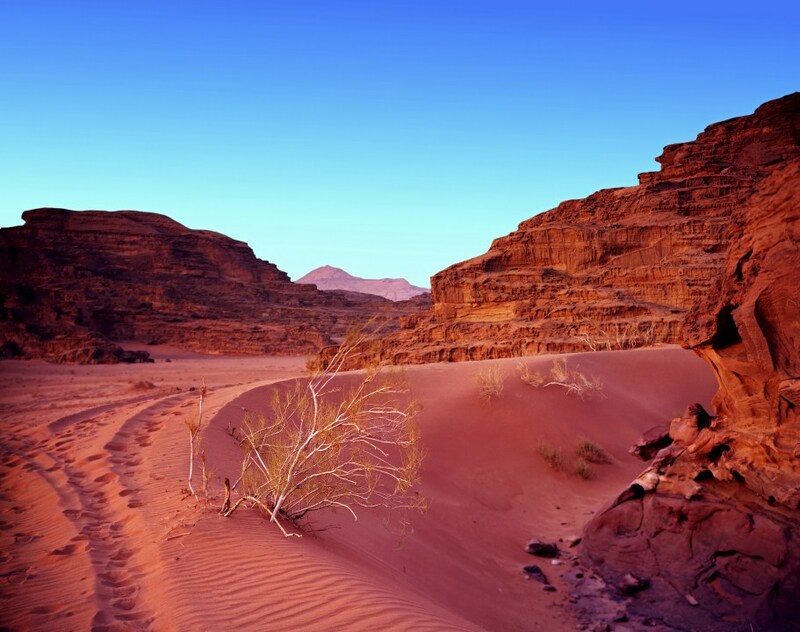 Our representatives will meet you at the Southern Border (the Arava border), assisting with visa requisition and passage through the border. 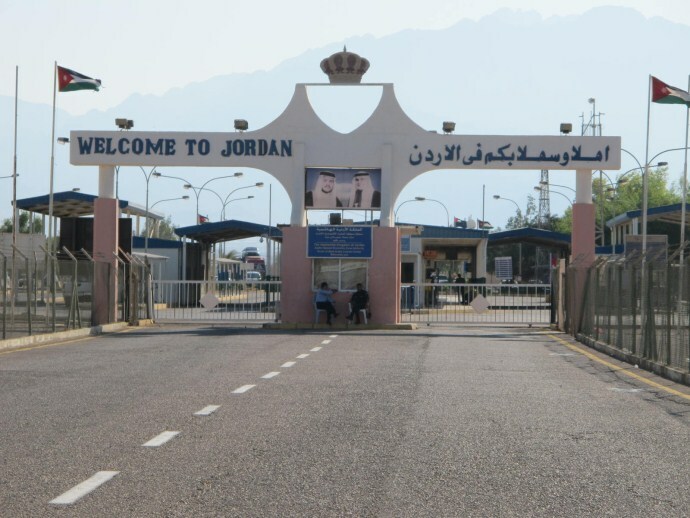 To save time with the crossing, we will send your passport details to the border a day in advance so on the day we should be able to go straight through. 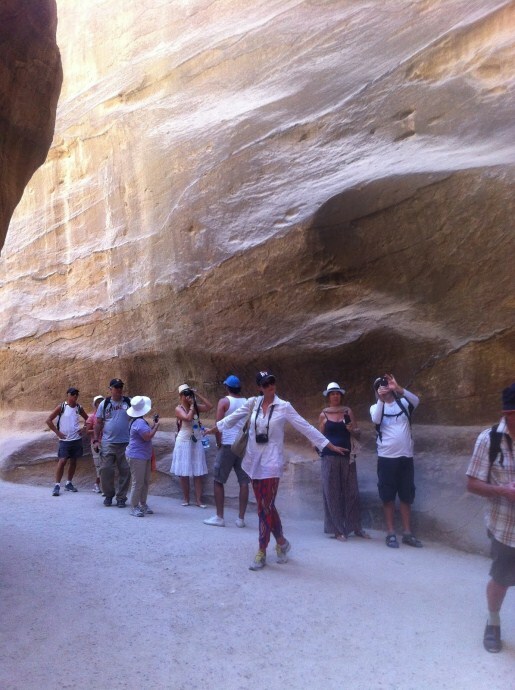 You'll be accompanied the whole time by our staff and your tour guide will meet you on the other side. 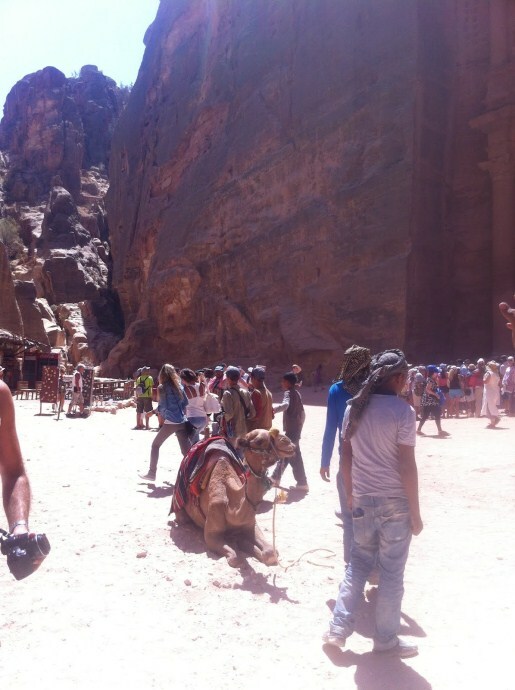 The native tour guide will sort out the border crossing and after collecting your visas we'll be on the road to Petra. The tour takes place on a minibus and therefore spaces are limited. This ensures a smooth visit which lasts around 4-5 hours. First thing you'll be given is a bottle of mineral water – got to stay hydrated! 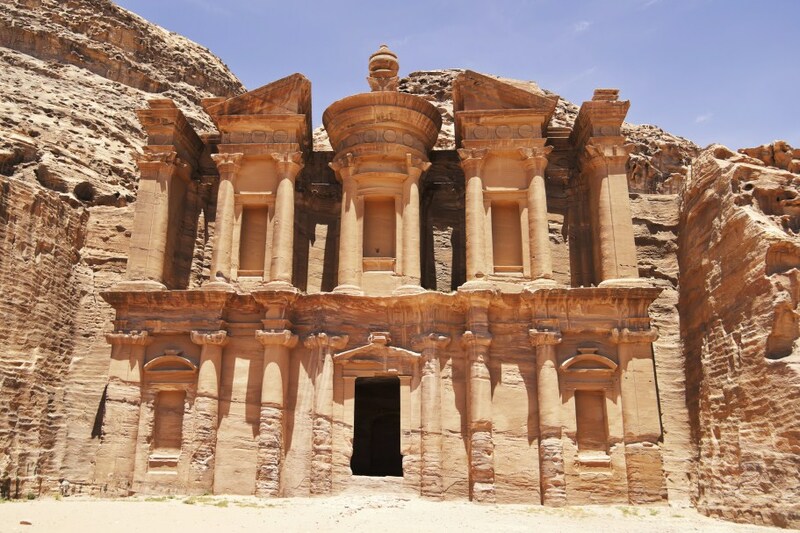 The two hour drive to Petra takes us through Aqaba and the nature reserve of Wadi Rum, while your tour guide briefs you on Jordan's intricate history and culture. 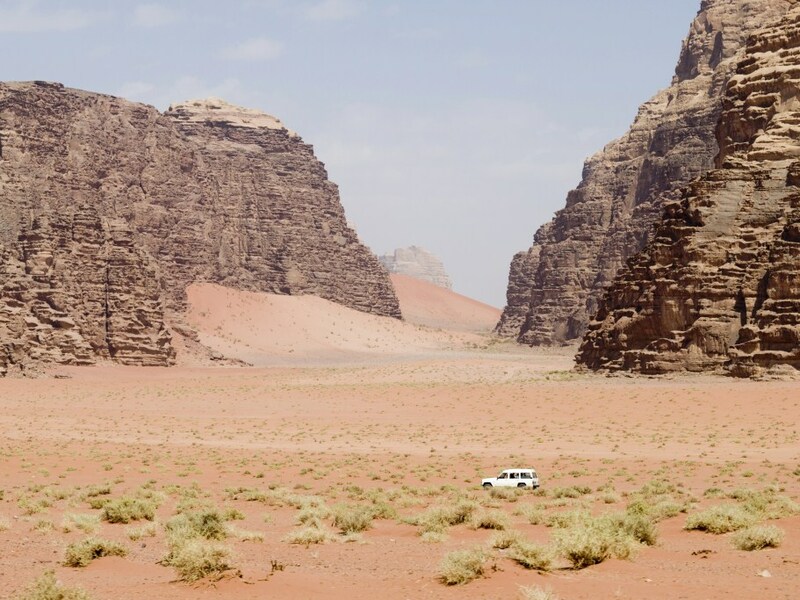 There will be a stop-off at a magnificent viewpoint, showcasing the red desert views, the inspiration for Lawrence of Arabia. 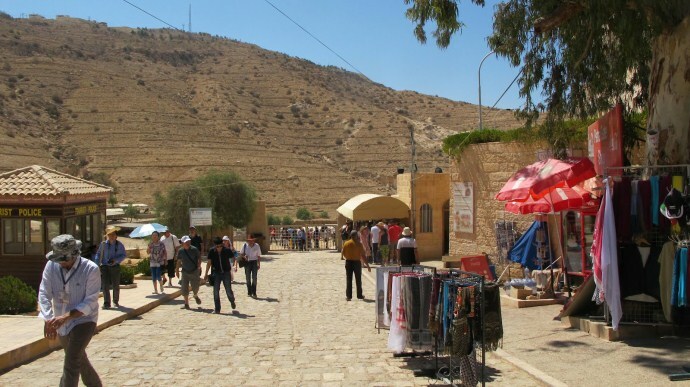 A second viewpoint overlooks Wadi Musa, a town which means 'the valley of Moses', and in the background you'll see the shrine to Moses' brother Aaron, believed to be his grave site. 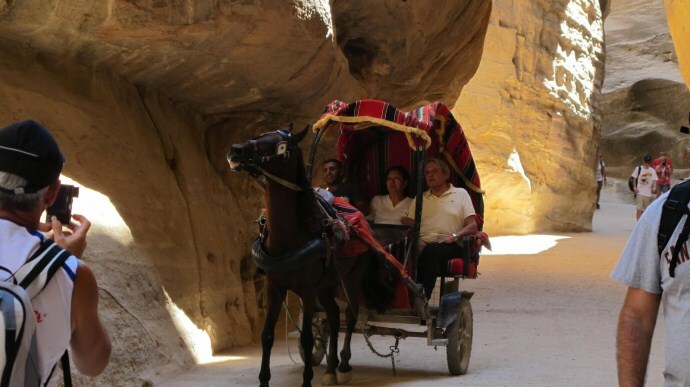 We'll start by making our way to Siq Canyon, either by walking with the guide or hiring a horse for $5. 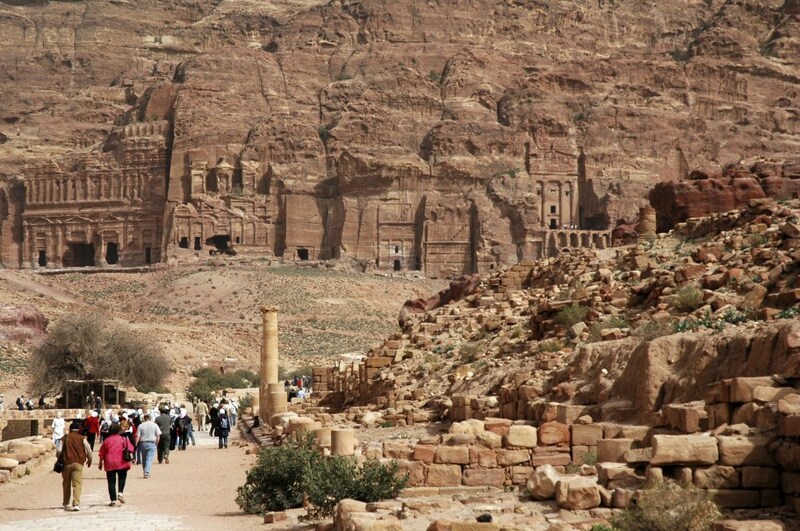 The road takes us through the Silica Quarries, the Jinn Blocks, and then finally the Obelisk Tomb. 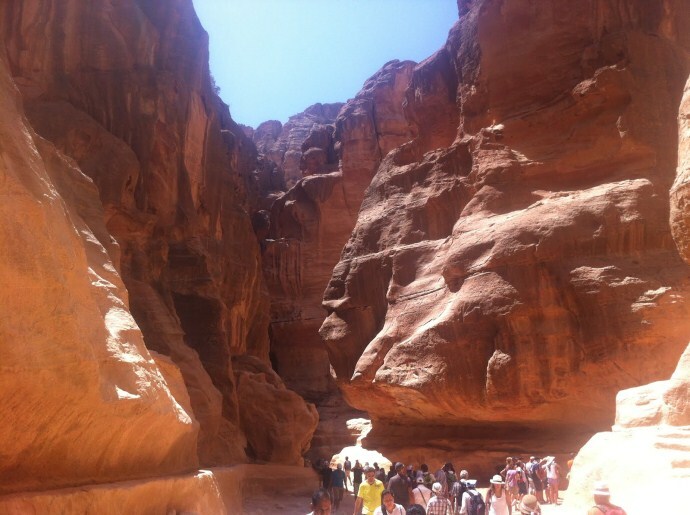 Once at the Siq we'll see the stone damm that was built to shield the city from floods, with its impressive primitive draining channels. 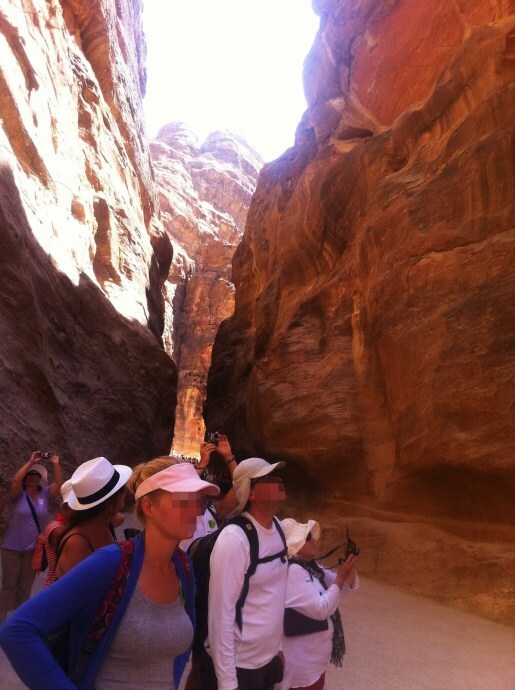 Inside the Siq an archway is visible – once the grand entrance to the ancient city. 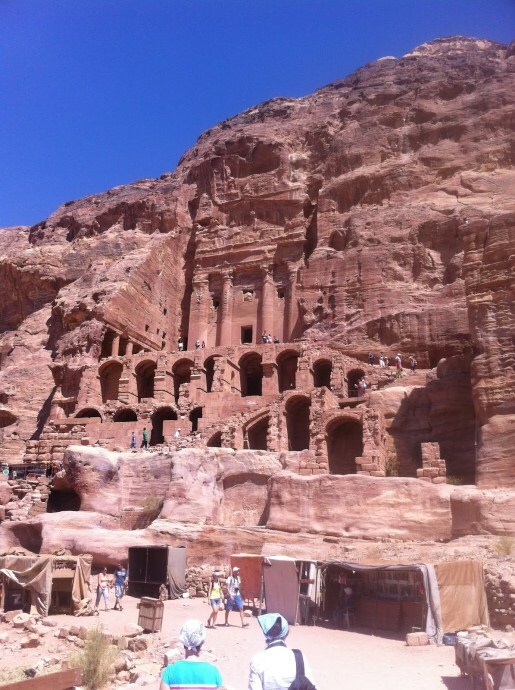 The plumbing runs all the way through the Siq, reminding us how advanced the inhabitants of Petra were for their time. 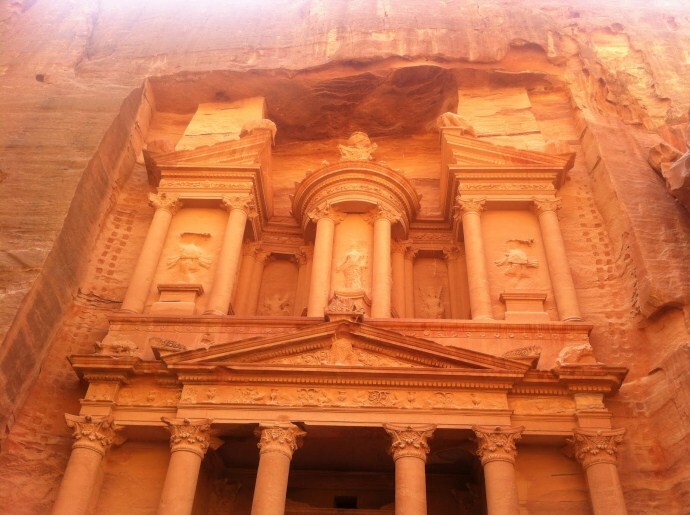 It's always amazing to see the ancient carvings in the rock, paying homage to the various deities worshipped in the city. 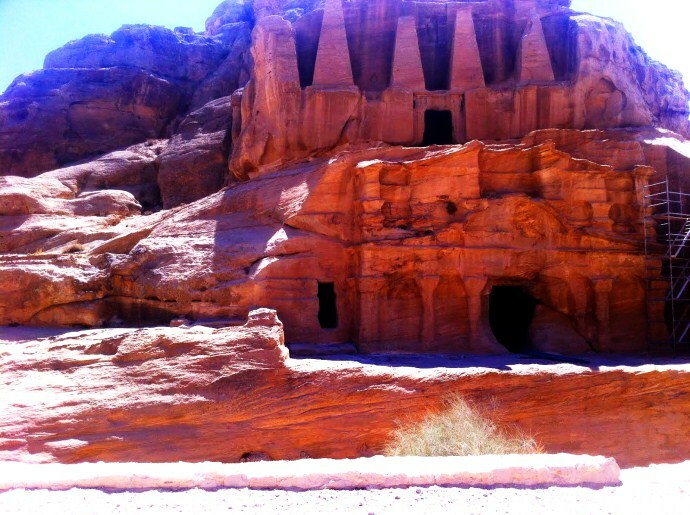 The end of the canyon is marked by Petra's most famous structure, the Treasury (the Khazneh), the perfect spot for a photo break! 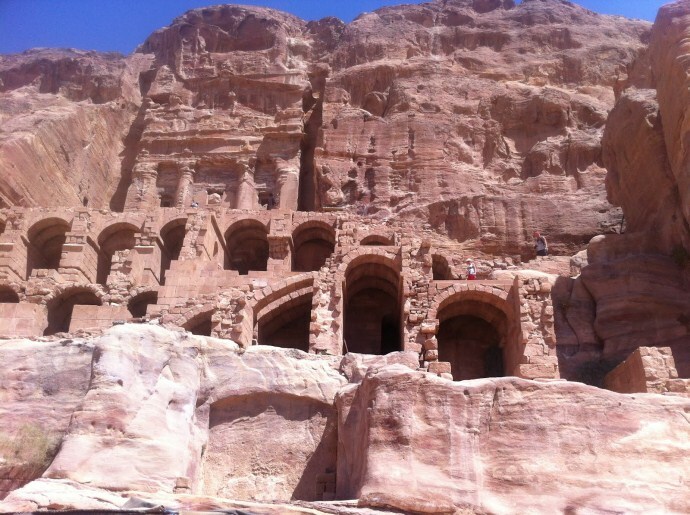 From here the tour continues down the Street of Facades to the Nabataean Theater. 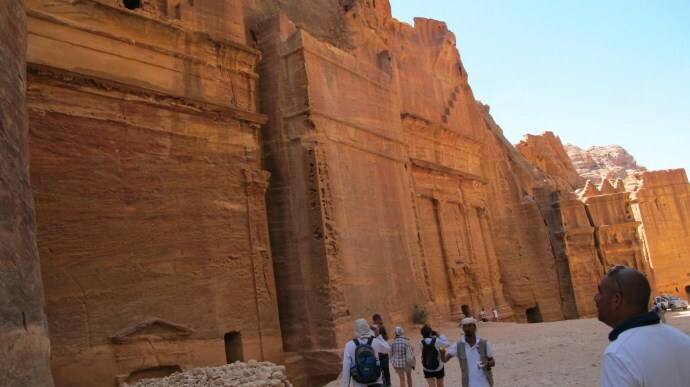 The Royal Tombs are an impressive site, and after that we'll walk down the Colonnade Street to see the Great Temple, assuming there is time of course. 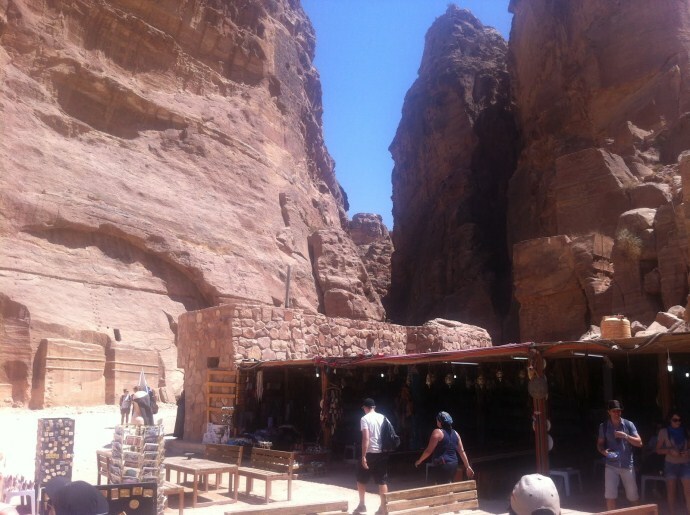 Then we'll return to the Siq entrance for a well-deserved lunch at a local restaurant in Wadi Mussa. 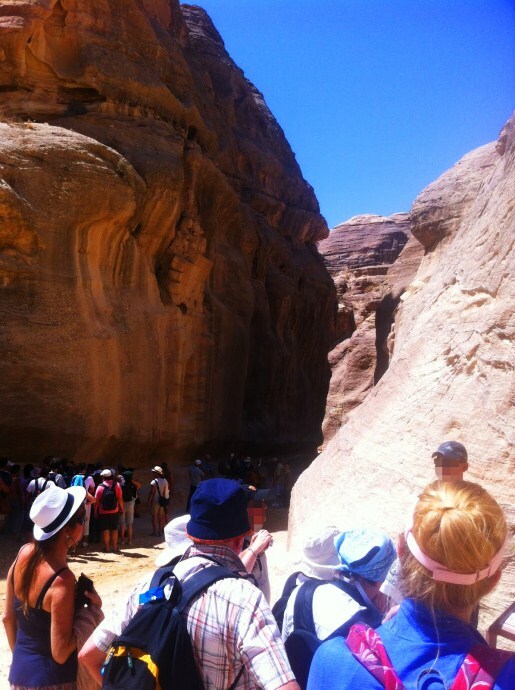 After a delicious lunch we'll make our way back to the Arava border and to your hotel in Eilat. 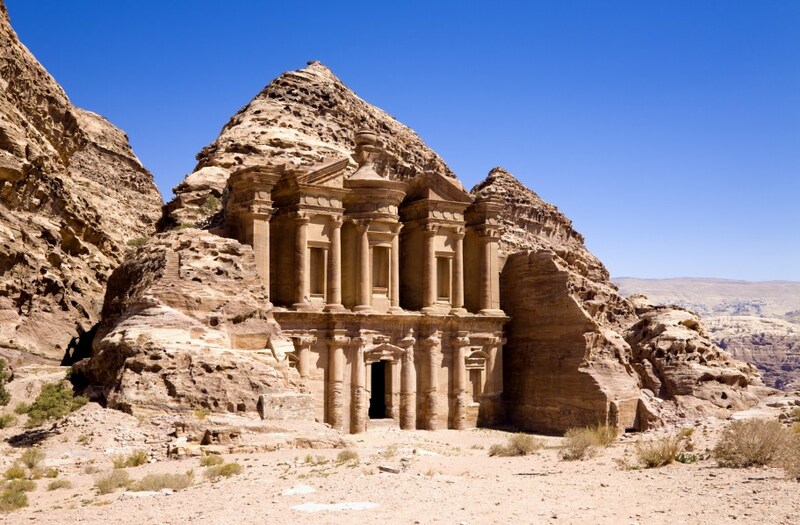 Transfer back to Arava Border and to your hotel in Eilat. 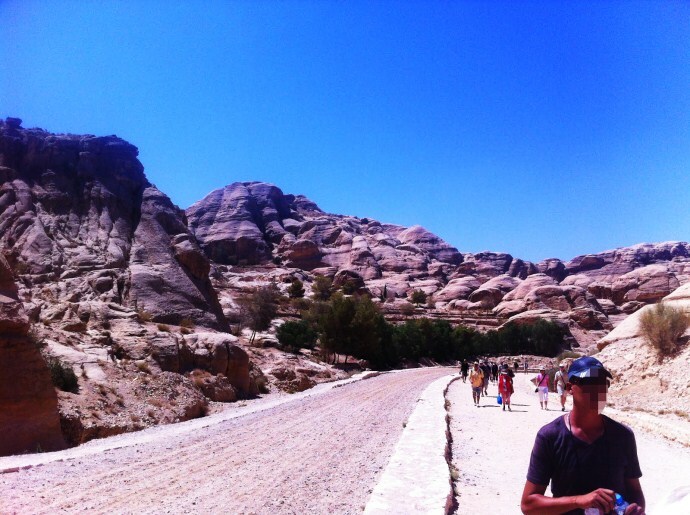 English speaking Jordanian tour guide. 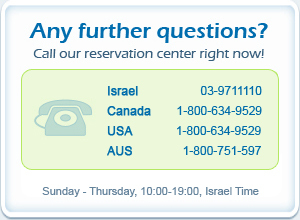 (Other languages available for extra cost). Lunch in a local authentic restaurant. 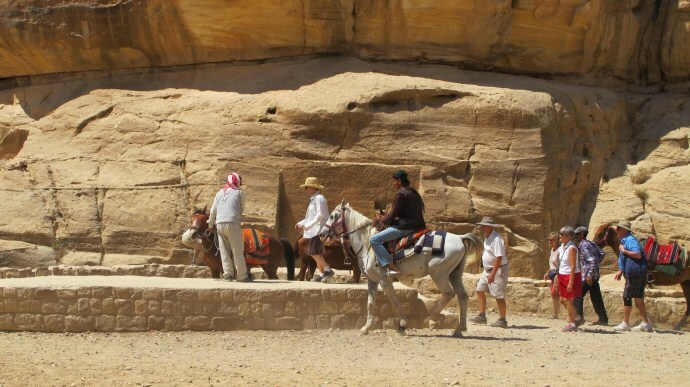 Personal insurance is not included - No Insurance company insures any accident from a horse or any other animal. 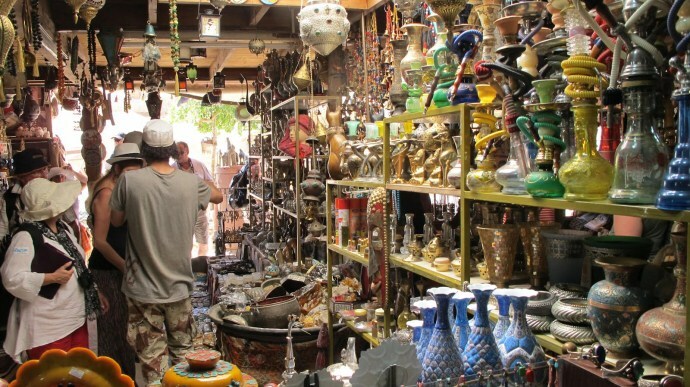 Certain nationalities require advance issue of visas. For additional information, please read our FAQ page. There will be a 50% cancellation fee for cancellations made 24 hours or less prior to departure.